My daughter Saskia loves your comics. She has created a beads picture and would love to see it inside your fan-art and help you reaching your goal of 100 fan-arts! That bead-picture is now placed above her bed. That's a wonderful work! Thank you Saskia for making it and thank you Rüdiger for sharing the email and the photo! I added it to the fan-art gallery. 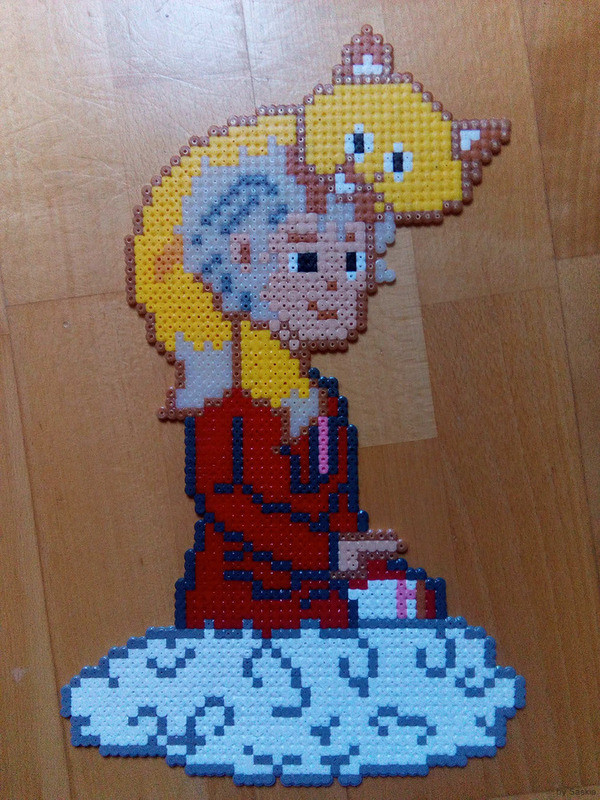 It's always good to see some love for the secondary characters of the series, and given how 'low resolution' bead art has to be, that's an amazing piece she's created there. Yes, that's true Mitchell ; thank you ! Would love to share my derivative work of an AR application with the community! Thank you for the email and video! That's a very cool project.